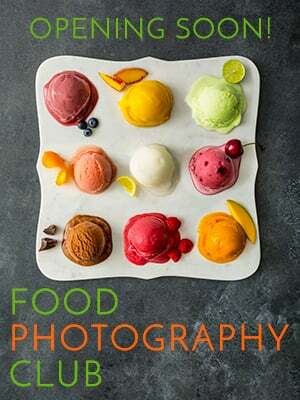 Do You Have What It Takes To Be A Professional Food Photographer? We are bombarded with images every day, all day long. We see something like 20,000 images a day, about 5000 of those are ads– in just one day! Now with the digital era, there are thousands of people picking up cameras, or just their phones, taking pictures and sharing them all over the world. And let’s be honest, so many of these images aren’t all that great, but it almost seems like it doesn’t matter, right? Anything goes these days. 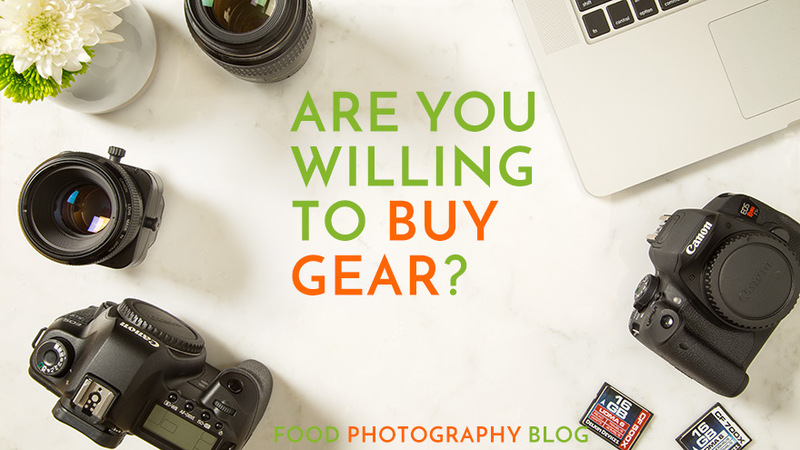 I want to support you in that decision, and at the same time, I want to be completely open and honest with you about what it means to be a professional food photographer. The image to the right is from the photoshoot you see above. This was done for one of my local clients here in LA. They wanted several shots of their drinks with models. I’ve come up with 10 questions you need to ask yourself. 1. Are You Willing To Set Up Your Business Properly? Let’s start with the obvious, are you willing to do all the necessary steps to make this hobby of yours into a legitimate business legally? Depending on where you live, there can be several costs associated with this, so going legit could be a major financial, and time commitment. 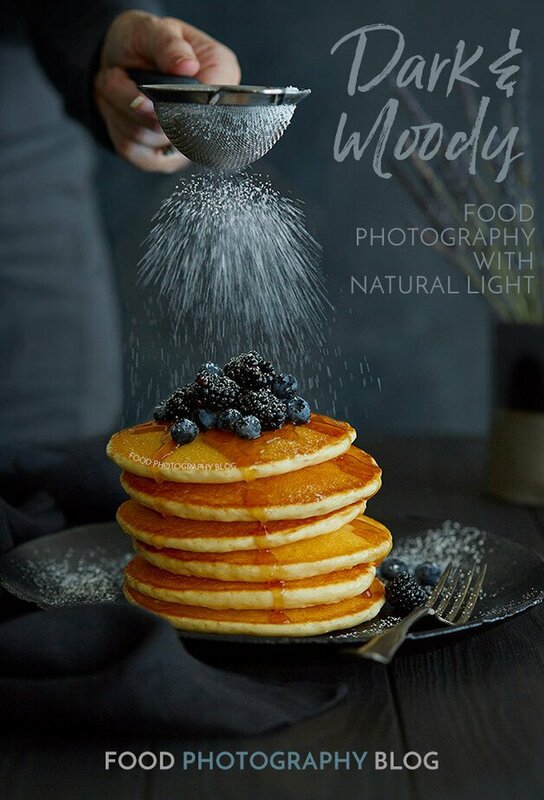 Just in Los Angeles, I’m shocked at how many people are running around calling themselves professional food photographers and they don’t even have a business license, (which they must have here), AND they don’t have business insurance either. The excuse of, “oh well, I’m not making that much money in it right now so I’m just going to wait until later”, DOESN’T WORK. If someone is paying you any amount of money at all, you are in business my friend. Money changed hands for your goods or services. 2. Are You Willing To Work On Marketing Your Business Monthly? If you want to be a professional photographer, you need clients! Actually, you need PAYING clients. Your friend’s bakery is not a client if you are shooting for them for free. 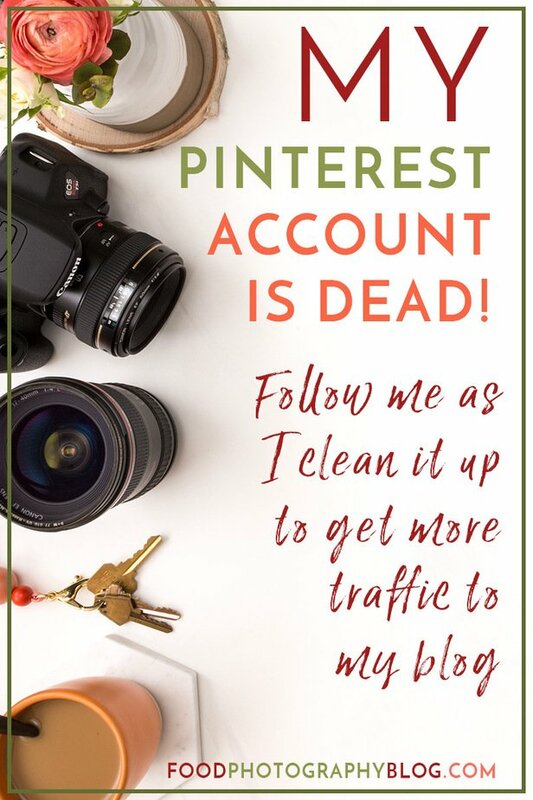 I’m bad at marketing, I’ll be totally honest. 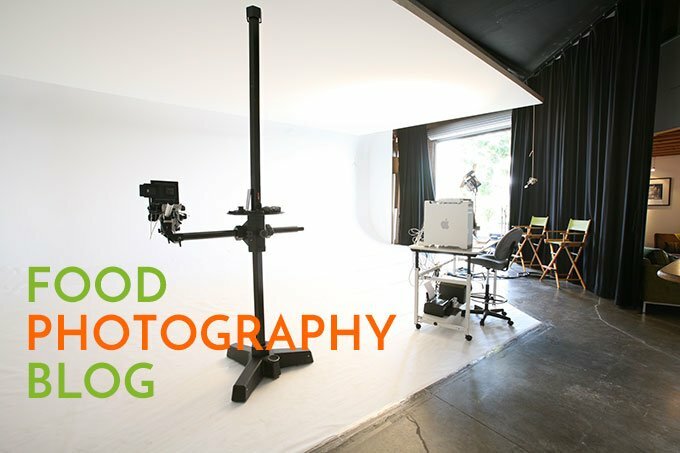 I’ve had a photography website since 1997 – my first website, I built it with code, and a horrible html editor that crashed every 10 minutes or so. As I’ve had an active website for 20 years now, my site is easy to find on google, so my jobs mostly come from personal referrals, and my website. I do postcard campaigns occasionally, however, I should do them all the time. I get lazy because loads of people find my website. But those of you starting out, you’ll have to work harder to compete. You will need to come up with a budget you can afford to market yourself, and learn how to do that well. 3. 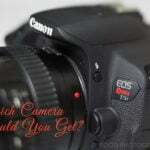 Are You Willing To Invest In Photography And Computer Gear? Are you one of those that is refusing to buy a decent tripod because of the price? I have to tell you my friend, photography is one of the MOST expensive professions to get into. YOU MUST HAVE GEAR. And here’s the kicker, the more pro you get, the more gear you need. My wish list as a pro shooter just gets more expensive. I want faster computers, bigger file sizes, the newer faster focusing lenses, the fancy medium format gear. My list will never end, as I keep adding to it. I love the tools we now have available. 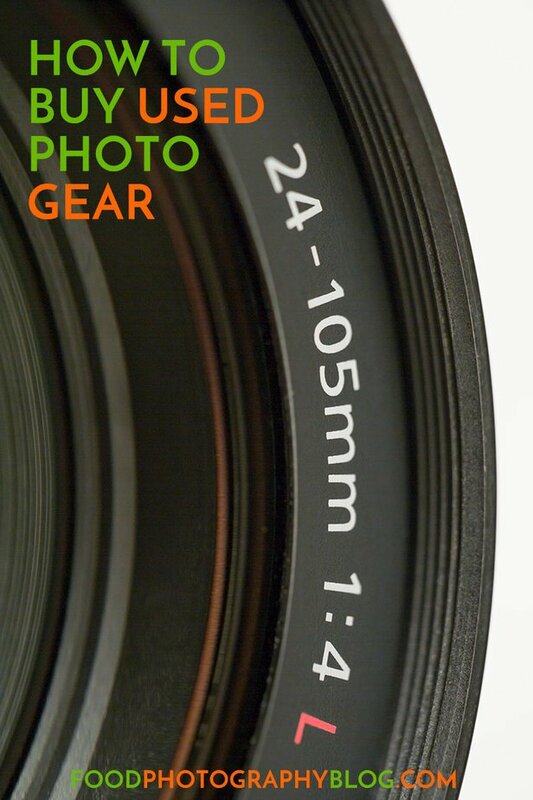 In the Facebook group I run, we talk about cameras and lenses weekly. Someone always makes the comment that it doesn’t matter what equipment you have, good photography comes from the photographer, not the gear. That’s only true to a point, and there are limits to this. You can get away with the low end inexpensive gear on certain types of low paying jobs. 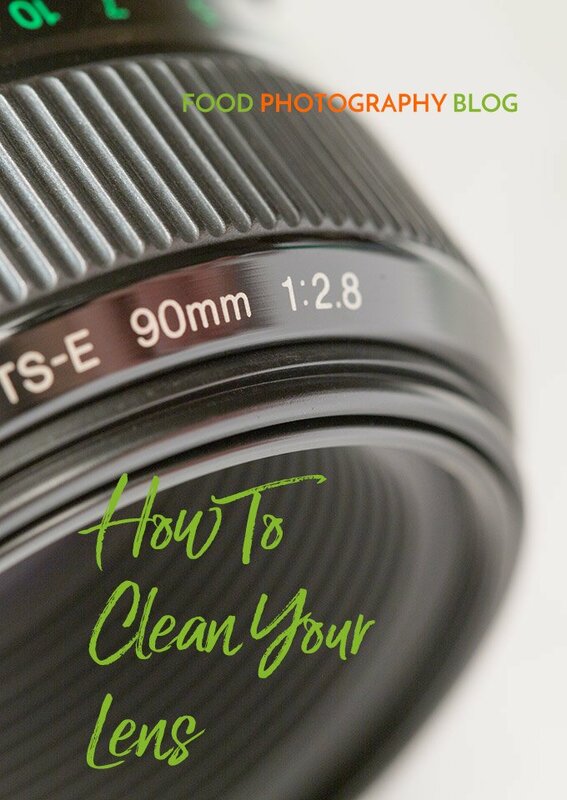 As soon as you get into the advertising world, your clients will have certain expectations and requirements for your images that only a few of the very high end DSLR cameras can handle. The next grade up is what we call medium form digital backs, where the files sizes get absolutely massive, along with the price tag ($50,000 on the high end for example). The tonal ranges are beautiful, and you can really push these digital files. On a few of the higher end digital backs, low light is no problem – no digital noise. You MUST also get a computer that can handle all of the image processing that you are going to do. I have several – one that never leaves the office, and then two others that I take on locations. We haven’t even started talking about lighting yet. You can only get away with shooting natural light for so long before you get a job where you need lights. If you live in a remote area where you can’t rent equipment, you’re most likely going to have to buy it. Are you prepared for that? 4. Can You Take Great Pictures At Another Location Outside Of Your Home? I know several of you can take great shots with natural light… in your own living room, in one spot, when it’s 1:00pm. That’s great, but can you get the same type of shot somewhere else? On location? In a restaurant or café? If you haven’t tried shooting in a bunch of different places, you don’t have enough experience yet seeing light in other places. So you’ll need to practice that, a lot. When you are showing your images on your website, people will assume that you can take pictures just like that ANYWHERE. That’s what a professional photographer can do – get repeatable results. It doesn’t matter what studio I’m in, my images will look like they are part of my portfolio. You have to master lighting. 5. 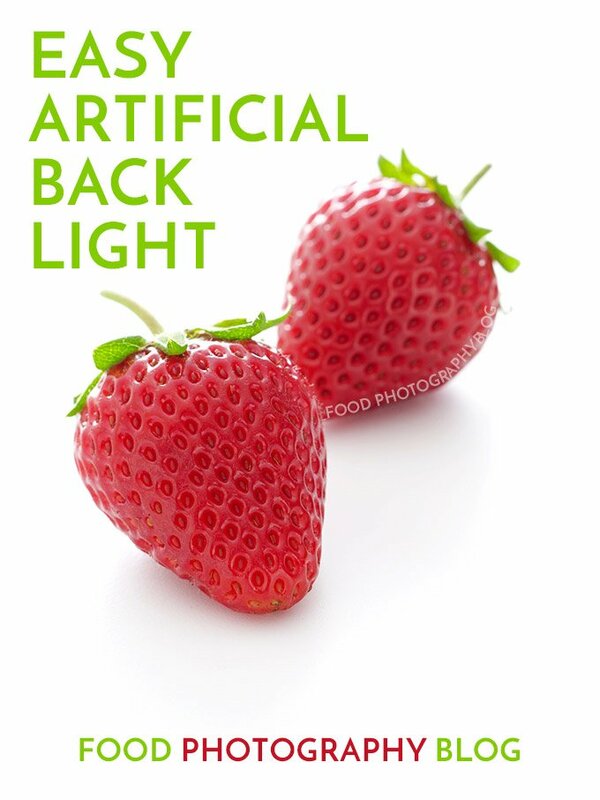 How Are You With Artificial Lights? You can’t keep chasing the sun forever, and if you want to make a living at this, you will have to take jobs where you just can’t use natural light. Your shot list might be too long to get done while the sun is up. I’ve actually had clients tell me they have worked with photographers that tell them that natural light is so much better than artificial light, and that’s why they only use natural light. This is complete BS. Light is light people – those shooters just haven’t learned how to manipulate the artificial light to look like natural light, so they lie to their clients to cover their lack of lighting skills. It’s embarrassing. So, if you haven’t started working with artificial lights yet, now’s the time! You’ll be kicking yourself that you didn’t start learning this sooner. 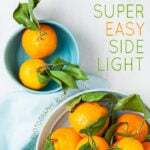 If you don’t have it already, I have a great free Artificial Light Buying Guide to get you started. 6. Can You Photograph Shiny Object? So here’s the thing. Being a food photographer will also mean that your clients expect you to be able to photograph their food products. This could be products that are glass bottles, plastic bottles, plastic cups holding soup, or a fruit drink. I’m talking about food packaging. This is product photography, and it’s extremely common for any food company to want you to photograph the food, AND the packaging that it comes in as well. You can’t tell them you’ll only do the food part. That’s not going to work, and they’ll just go to the other photographer who is accomplished at doing both. So, if you’ve never shot a glass bottle before – you need to start practicing doing that right now. There are so many famous food bloggers who can’t light a product to save their lives because they have never learned that skill. These are usually sponsored posts showing a kitchen appliance that is very reflective. You’ve seen what I’m talking about. You can see all kinds of things in the reflections of their products, or the highlights are completely blown out. The reflections need to be clean. So you need to learn how to light glass and metal. Not easy, but please put that on your to-do list to start practicing with those, ASAP. 7. Have You Ever Shot Someone Else’s Food? 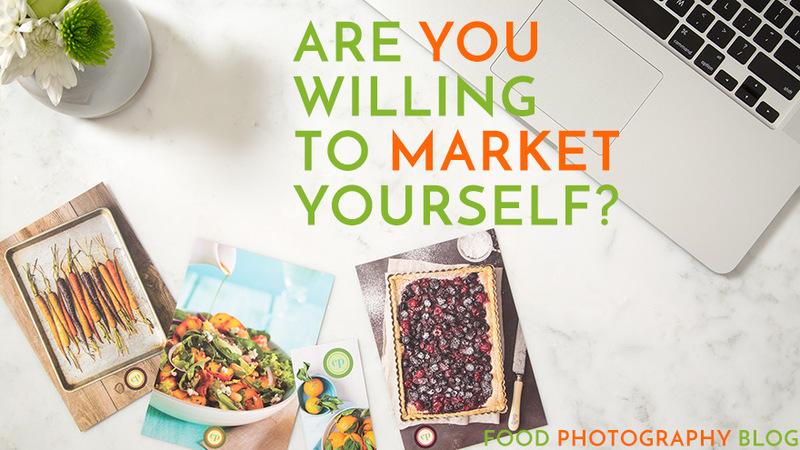 I’ve talked to so many food bloggers over the years who say, “I have to be my own stylist, I don’t want to photograph someone else’s food, that’s just weird!”. Well, in the pro food photography world, you will NOT be styling the food. 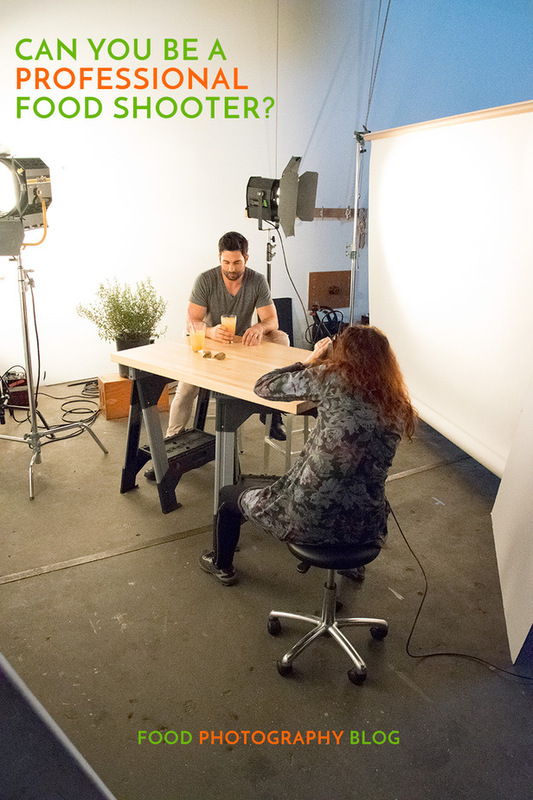 Your food stylist will be doing that because you will be busy setting up your shot, and working on your lighting. You will not have the time to do the food, and the photography, when you have several shots to do in a day. It’s just a simple matter of time, and logistics. You can’t be in two places at once. So, start practicing! Find a local chef to work with at first. 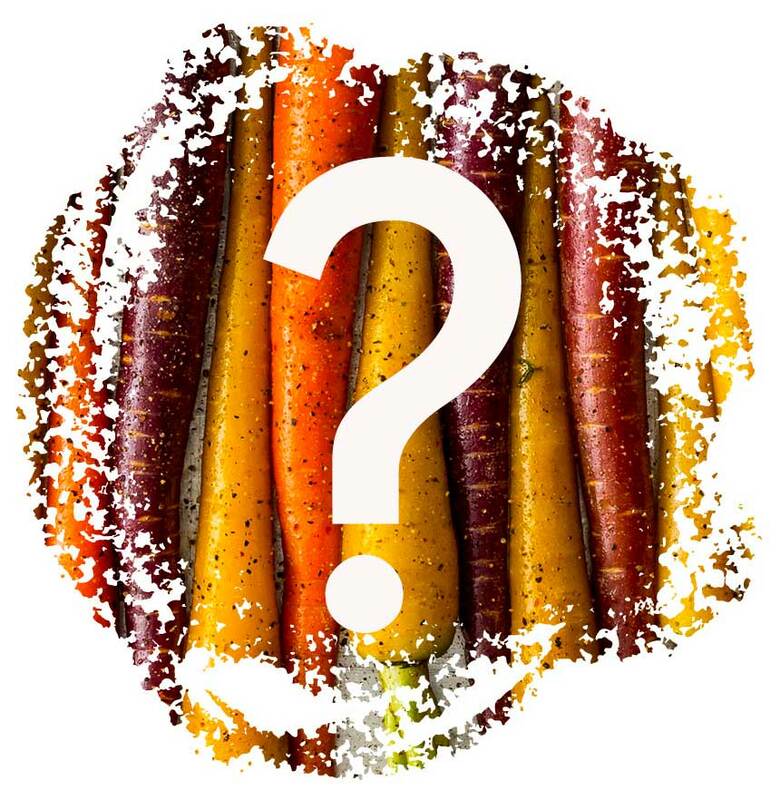 If you know a food stylist, reach out and ask them to test with you. 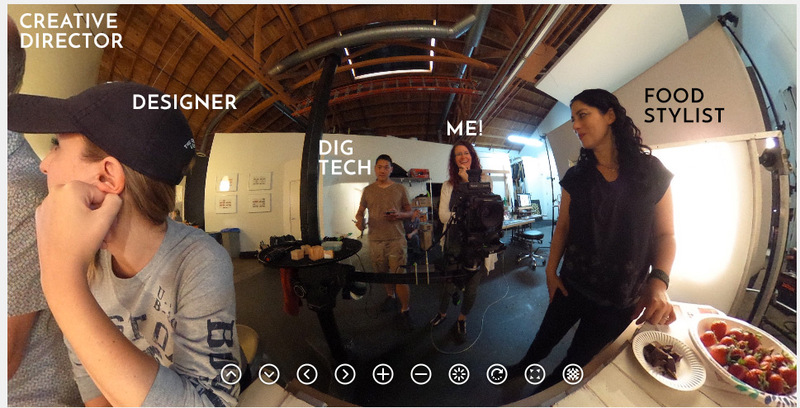 A fun set shot taken by Digital Tech John Shin with his 360 degree camera. #8 How Are You Working With Others? Professional food photography shoots are collaborations. You are responsible for figuring out what images your clients want you to take. Then, you need to hire the crew necessary to bring those images together. 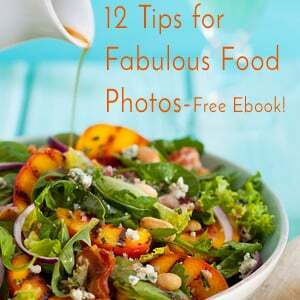 You’ll have a food stylist, often times a prop stylist, your assistant, and then your clients. Sometimes your clients will want you to photograph the food, or use props in a way that you don’t like, but you have to do what they want – they are paying you after all. It’s your job to give them what they want. You’ll get opinions from everyone, and you must learn proper set etiquette to handle that with grace. My clients love me because they tell me how easy going I am with them on set. I will never argue with them about what they want in their shot. I may nicely suggest an alternative. They are an important part of the photography process, and I make sure they get the images they want, and have fun at the same time! #9 Have You Ever Shot An Image That Was Being Used In A Specific Layout, Or Had Text In A Specific Area? You will need to learn how to do quick composites in photoshop, AND be very comfortable shooting tethered. If you start doing ad work, you will need to start using tethering software like Capture One Pro so that you can easily see what the image will look like with the text layer on top of it, while you are shooting – COP has this feature using layers. Your clients will expect this of you, so the faster you can learn Capture One Pro, the better. #10 How Comfortable Are You With Portraits And Architecture Photography? If you want to shoot for restaurants, chances are you will be asked to photograph the restaurant itself, and the Chef, or the Chef and his or her crew. You can’t tell the restaurant that you only shoot food. Portraiture, and Architecture are very different disciplines that require different skills, and equipment that I don’t have time to go into here, but you get the idea. 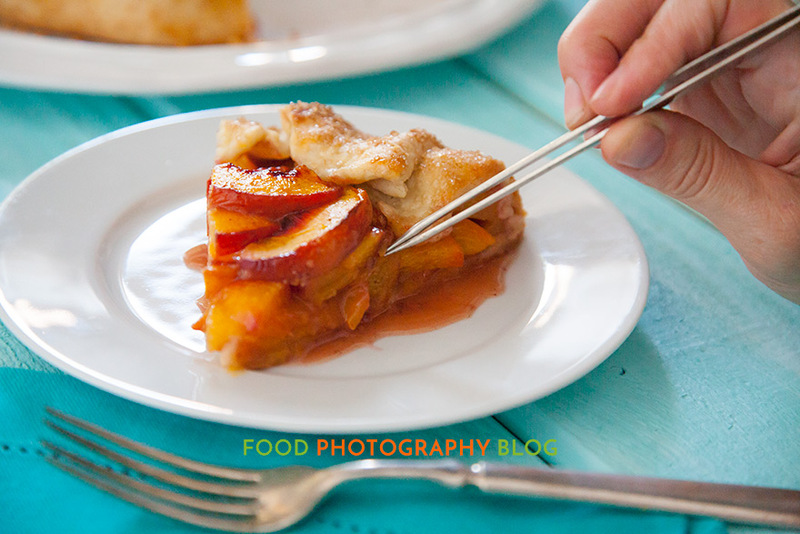 Saying you are a food photographer, doesn’t mean you only shoot food for your clients. They will expect you to have more skills than that, even if you don’t show portraits on your website. 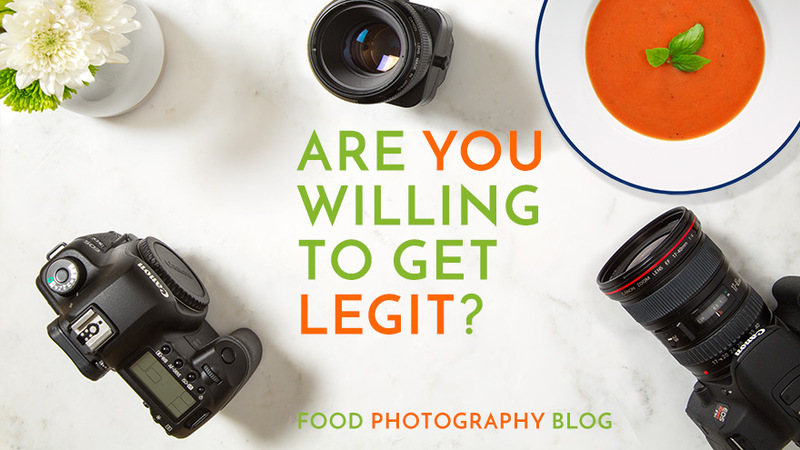 To survive as a professional food photographer, you must be open to learning what I have mentioned here – your career depends on it. If you want to learn more about all of this – I have the perfect thing for you. 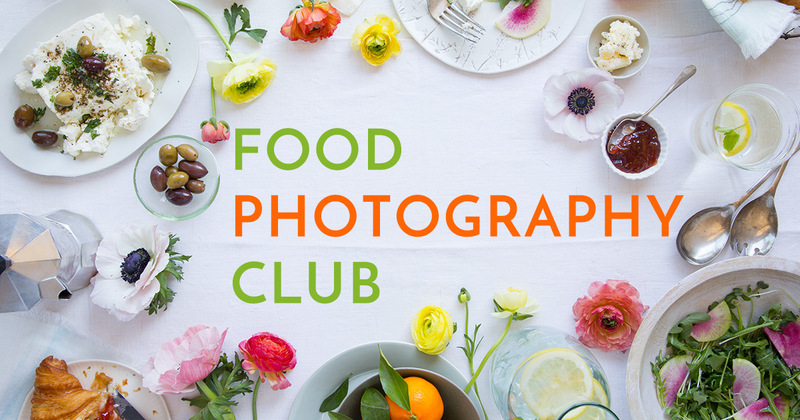 It’s the Food Photography Club. 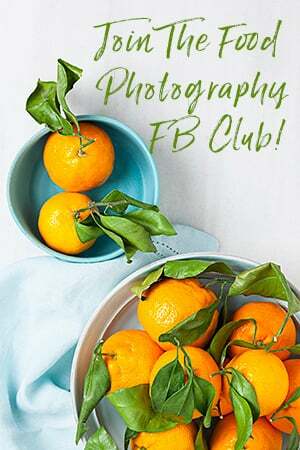 It’s my membership site where I teach food photography, and the business of doing that. 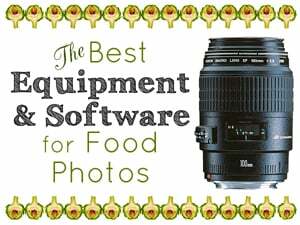 « What Is The Best Camera When On A Budget For Food Photography? Very nicely written. Encouraging but realistic in the challenges that face the food shooters today. Hi Hank, I totally agree. Lighting is one of the most important parts of it all.